What happens when you can’t be bothered to walk upstairs and get another DVD from the office? You end up flicking through the movie channels. Fortunately for me, The Horror Channel is free with the full Sky package. If you like lesser known horror films then you can often find something enjoyable on there. Well anyway, by chance I tuned in just as The Killing Room was starting. A quick check on IMDB revealed the cast list and I was sold. Peter Stormare, Clea DuVall and Nick Cannon were enough to convince me to watch. 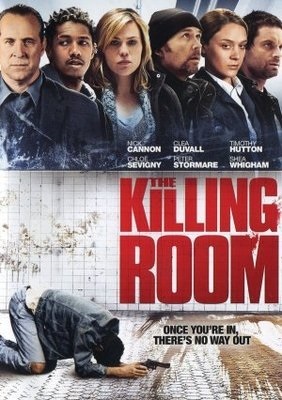 The Killing Room follows a group of people who are participating in what they think is a Psychological study, it soon becomes apparent that they are involved in something far more sinister. Peter Stormare plays, as he invariably does, a shady foreigner (Not xenophobic, just an observation) Nick Cannon plays a quiet participant as does Clea DuVall. The remaining test subjects are played by Academy Award winner, Timothy Hutton and Shea Whigham. The whole thing is rounded off with the new recruit to Stormare's secretive agency, Chloë Sevigny who is being rigorously put through her paces in a job interview to top them all! The Killing Room's plot focuses on a secret CIA research facility which looks to be continuing the work from the 1950's and 60's known as Project MKULTRA. This projects' goal in reality were ultimately unclear but the film can take any approach it wants. On the one hand you have a valid study to try and use mind control (as valid as that can be?) but on the other, you have various techniques involving torture. However you look at it, it’s no wonder why there was so much fuss surrounding the original studies in the 50’ & 60’s. I will say if you like conspiracy theories, have a little read. It's quite interesting. The film's dialogue leaves a lot to be desired but the very able cast more than makes up for that short coming. Some very convincing performances, most notably from Hutton who plays the "been there done that" character and despite the lack of personal involvement, his character, Crawford may be the one the audience connects with the most. Cannon plays Paul Brodie, a seemingly quiet kid who is looking for a bit of fast cash. His character grows throughout the film and ultimately becomes one of the main protagonists. All in all I think the whole cast gives a good performance and one which you can feel sympathy for. Let’s face it, if you don’t feel empathy for the characters then someone isn’t trying hard enough! The customary OTT performance from the brilliant Stormare finishes everything off nicely. Despite not really being a horror film, The Killing room does have its shock moments and it is one that I would have bought if I had seen in the shops. Having done the rounds at Sundance and then (I believe) released straight to DVD it didn’t receive the kind of publicity that maybe the cast should have demanded. This was very unfortunate as I really enjoyed it and would thoroughly recommend it to anyone who enjoys atmospheric thrillers. This is a film that like the previous sequel I reviewed (Grave Encounters 2) promised so much. Let me take you back a bit. 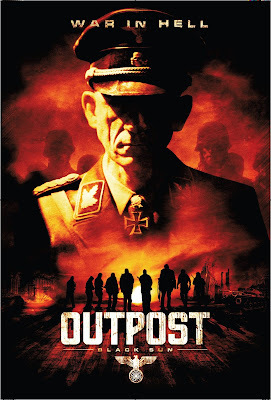 One of my first posts on this website was for a little indie film called Outpost. The film saw a group of mercenaries escorting a businessman in the woods of Eastern Europe only to be confronted by an army of un-dead Nazi SS soldiers. The concept and delivery were brilliant and immediately after watching Outpost, I was ecstatic to learn that a sequel had already been commissioned. ﻿ ﻿ It’s amazing what you can accomplish with a budget accumulated from re-mortgaging your house. Outpost uses war as the undertone but puts an all important spin on it. Maybe not as much as a horror film as it is a sci-fi thriller but when you have an army of undead Nazi's surrounding your location it could be quite horrific. For anyone who has seen Deathwatch, this one is for you. 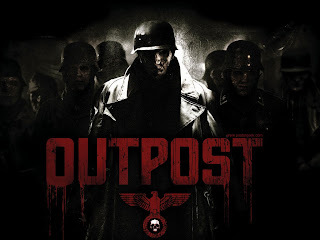 Where that film took a World War setting and added the horror twist; rather well I might add, Outpost does a very similar thing. Supernatural, paranormal whatever you want to call it, this sub-genre of horror films is next on the list in my "Horror!" segments. Following on from Zombies, Monsters and Slashers, Supernatural will take us places we haven’t really ventured to yet. Typically, you think of ghosts when you start to envision supernatural and as usual, you wouldn’t be far wrong. 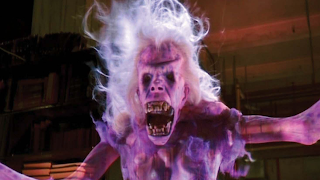 Where other genre’s of horror rely heavily on physical aspects, (blood, guts, gore and creatures) supernatural films play more with your mind. Often leaving the core aspects of the film to the viewers’ imagination or deep seated fear’s and repressed tension. Now for the housekeeping, I will lay out the rules, give a brief outline of the genre and my own opinions and then at the end, I will probably include my 10 best films from the sub-genre.